1976 BA in Sociology, Cairo University, Egypt. 1972 Arabic Intensive Course, Oriental Studies, American University of Cairo, Egypt. 1971 Faculty of Sociology, Kwansei Gakuin University, Japan. 2000 Re-elected to the House of Representatives from Hyogo Prefecture's Sixth District. Vice-Chair, New Conservative Party Policy Planning Committee. Member, Standing Committee on Health and Welfare of the House of Representatives. Member, Standing Committee on Finance of the House of Representatives. 1999 State Secretary for the Economic Planning Chair of the Liberal Party. Member, Committee on Public Relations of the Liberal Party. 1998 Director, Standing Committee on Finance of the House of Representatives. Member, Standing Committee on Trade and Industry of the House of Representatives. Founding Member of the Liberal Party. 1997 Chair, Standing Committee on Science and Technology of the House of Representatives. 1996 Re-elected to the House of Representatives from Hyogo Prefecture's Sixth District. Director, Public Relations Bureau of the New Frontier Party. 1995 Assistant to the Secretary General of the New Frontier Party. 1994 Founding Member of the New Frontier Party. Vice-President of the Japan New Party. 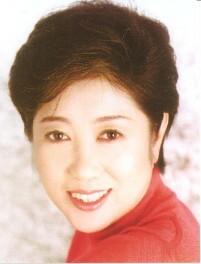 1993 Elected to the House of Representatives from Hyogo Prefecture's Second District. Vice-Minister, Management and Coordination Agency. 1992 Elected to the House of Councillors from the Japan New Party. 1989 Anchor, TV Tokyo's Financial and Business Programs "World Business Satellite" and "Top Business Executives". 1988 Anchor, TV Tokyo's Financial and Business Programs "World Business Satellite" and "Top Business Executives". 1979 Anchor, Nippon TV's Daily Program "Current Issues"
1978 Interviewer and Coordinator for the Nippon TV Special "Colonel Qaddafi and Yasser Arafat". 1977 Interpreter and Translator of Arabic.